Want to up the ante when it comes to inner tubing? 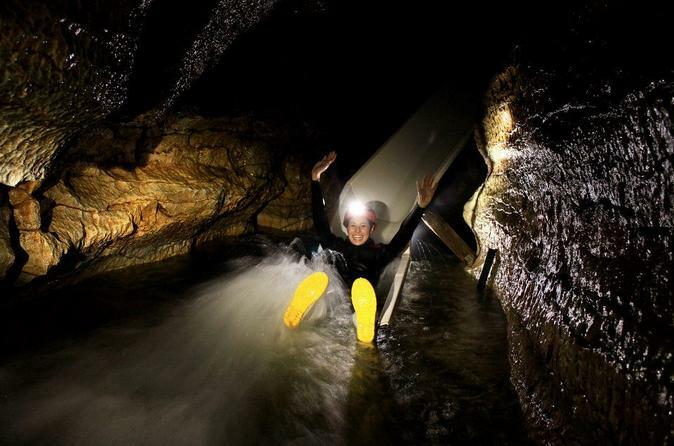 Now you can float along a subterranean river in the Waitomo Caves! Thousands of glowworms flicker on the walls as you cruise through the narrow passageways and eventually take a plunge down a waterslide. Friendly and experienced guides look after you every step of the way, soothing any jitters and ensuring a memorable adventure! 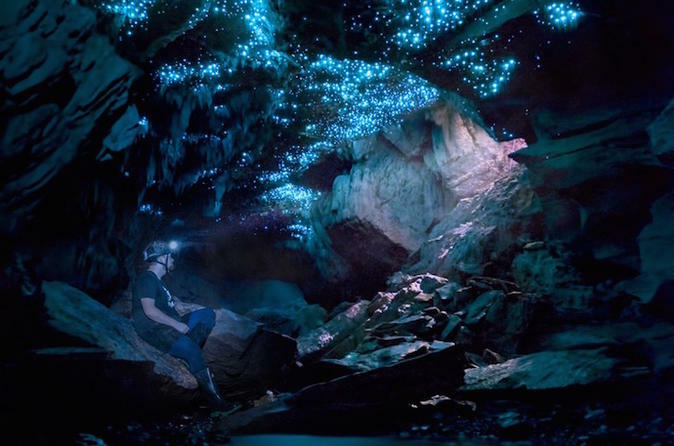 Experience a glowworm light show among the fantastical rock formations of Footwhistle cave, an extensive cave system in Waitomo. Glowworms create a starry glow around you as your expert guide leads you through a cavern dripping in stalactites and stalagmites. 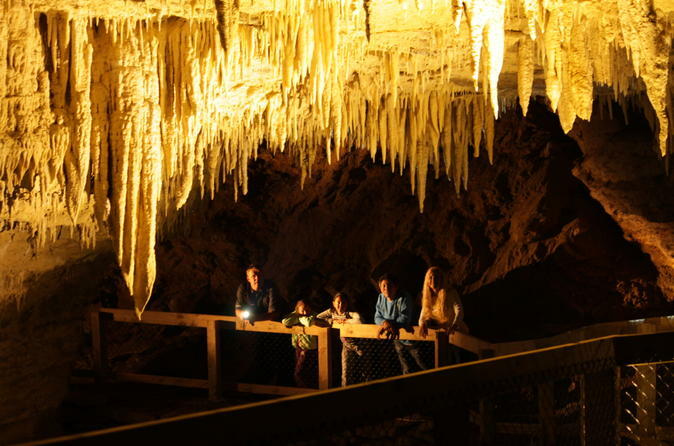 Softly lit by candles and solar-powered lights, the cave’s subterranean beauty is mesmerizing! This small-group tour limited to 13 people ensures personalized attention from your guide. Get off the beaten tourist track on our private family farm for a tour through beautiful and untouched New Zealand scenery, including native forest, limestone caves, amazing natural rock formations, and sensational glowworm displays. Completely natural limestone cave system, including three magnificent glowworm displays. Tour through the untouched Mangarongapu Cave. There are no concrete paths or electric lights, and you will be climbing over boulders, wading through a shallow stream, and walking through pristine New Zealand native bush. All equipment is provided. 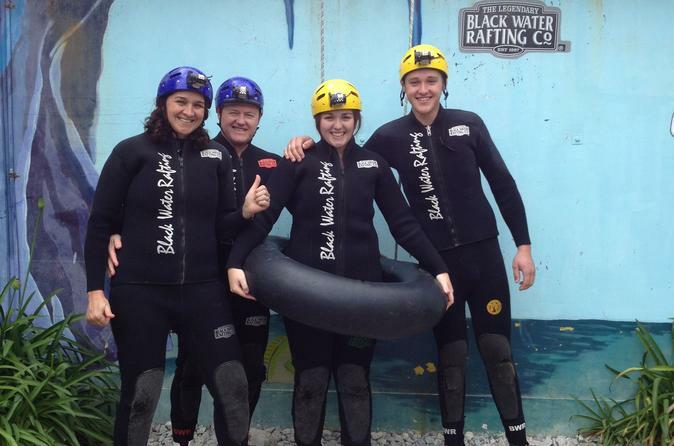 Unhurried, personalized cave eco-tours for small groups of 2 to 6 people in Waitomo.